Combining a secure data and voice communications system using SATCOM and fiber optics for long-haul communications the U.S. Missile Defense Agency (MDA), in cooperation with the Joint Functional Component Command for Integrated Missile Defense, U.S. Northern Command, and elements of the U.S. Air Force Space Command’s 30th, 50th, and 460th Space Wings, conducted a successful test on March 26 against an Intercontinental Ballistic Missile (ICBM) class target. This test was the first salvo engagement of a threat-representative ICBM target by two Ground Based Interceptors (GBI), which were designated GBI-Lead, and GBI-Trail for the test. The GBI-Lead destroyed the reentry vehicle, as it was designed to do. The GBI-Trail then looked at the resulting debris and remaining objects, and, not finding any other reentry vehicles, selected the next ‘most lethal object’ it could identify, and struck that, precisely as it was designed to do. The threat-representative ICBM target was launched from the Reagan Test Site on Kwajalein Atoll in the Republic of the Marshall Islands, more than 4,000 miles away from the two GBI interceptors, which were launched from Vandenberg Air Force Base, California. During the test, space, ground and sea-based BMDS sensors provided real-time target acquisition and tracking data to the Command, Control, Battle Management and Communication (C2BMC) system. The two GBIs were then launched and the Exo-atmospheric Kill Vehicles successfully engaged the target complex, resulting in an intercept of the target. Initial indications show the test met requirements. Program officials will continue to evaluate system performance based upon telemetry and other data obtained during the test. 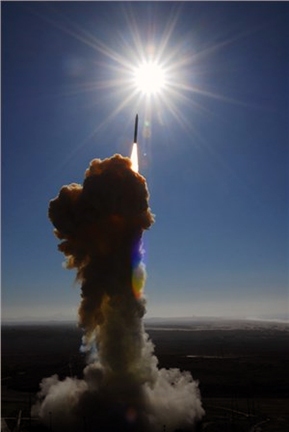 MDA Director U.S. Air Force Lt. Gen. Samuel A. Greaves said this was the first GBI salvo intercept of a complex, threat-representative ICBM target and it was a critical milestone. The system worked exactly as it was designed to do and the results of this test provide evidence of the practicable use of the salvo doctrine within missile defense. The Ground-based Midcourse Defense system is vitally important to the defense of our homeland, and this test demonstrates that we have a capable, credible deterrent against a very real threat. Additionally, Northrop Grumman provided technical expertise for this first dual interceptor test for the GMD System. 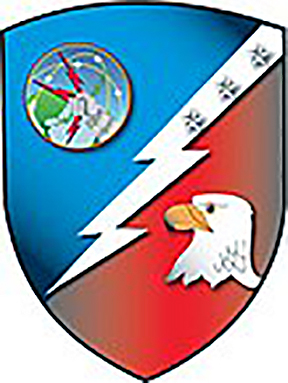 The company's integrated role provided direction to the interceptor and target rockets, to identifying and tracking the target and guiding the interceptor to the target. Northrop Grumman Corporation, (NYSE: NOC) as the strategic partner to prime contractor, Boeing, successfully provided the weapon task plans for the Ground-based Midcourse Defense (GMD) system Ground Based Interceptors (GBI) during the first dual interceptor mission against an Intercontinental Ballistic Missile (ICBM) target for the U.S. Missile Defense Agency (MDA). 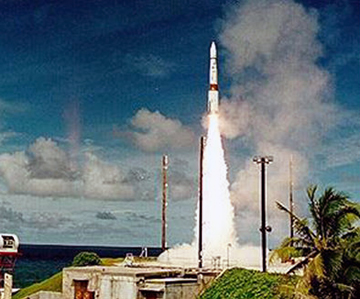 During the GMD flight test, known as FTG-11, a Northrop Grumman-produced ICBM target threat was fired from a launch complex at Ronald Reagan Ballistic Missile Defense Test Site in the Marshall Islands. Northrop Grumman’s ground systems integrated data from a space sensor with data from land and sea-based radars, created a battle plan, communicated with the silos to launch two ground-based interceptors powered by the company’s boost vehicles, and guided the interceptors to the target where the kill vehicles destroyed the threat. Dan Verwiel, VP and GM, missile defense and protective systems, Northrop Grumman, said this critical test of the nation’s defense shield showcases Northrop Grumman’s launch vehicles and the company's battlefield management and fire control capabilities. This was a highly challenging test and the company congratulates the MDA and the entire team on their excellent performance.